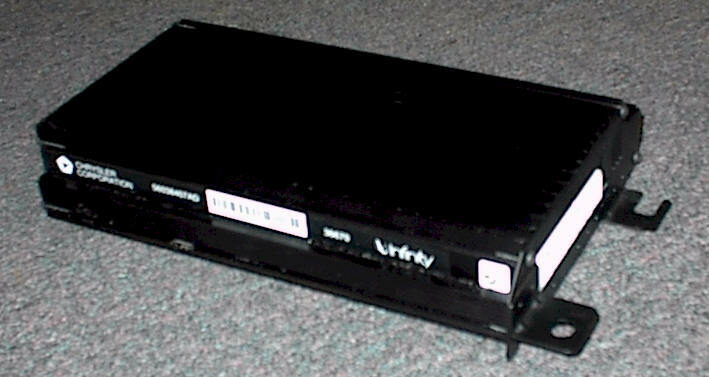 6 CD changer jammed, will not eject, will not accept CD, repair rate $345. However, before thinking of repair, try a reset of the stereo. Disconnect one of the main car battery terminals for several minutes then reconnect. This may bring the changer back to working properly. Otherwise, this is a repair issue. NTG4 / RER / P05064739AD Display cracked, broken or display erratic, $275. 6 CD changer jammed, will not eject, will not accept CD, repair rate $150. See our Car Stereo Repair Video. 6 CD player jammed, will not eject, will not accept CD, repair rate $235. We have How to Remove Car Stereo Help. Supplied by Car Stereo Removal, LLC. 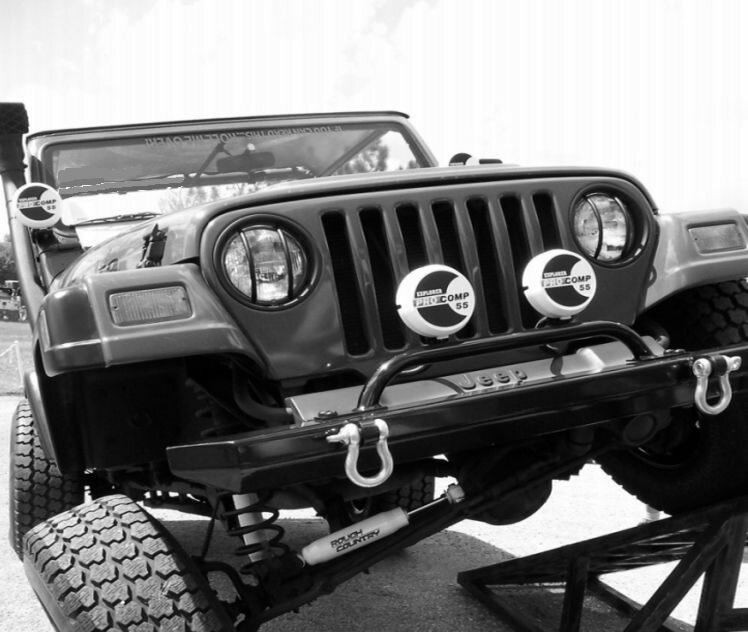 We restore and sell Jeeps CJ YJ &TJ's '81-06, and offer a full line of new and used parts. Common problems - no or intermittent display, no or intermittent FM, push buttons do incorrect function, audio has static or sounds scratchy. This repair rate ranges depending on the these problems, $125-185. When this stereo arrives at shop, you will receive a call with an estimate for your approval. Warranty on repair six months. Speakers out or channels missing, static, (usually the right front tweeter or speaker is first to go). Check speakers first! Swapping a known working speaker to the suspected bad speaker position for testing. We no longer repair this Infinity amplifier. Stereo dead. This is usually a defective on/off switch. Part is no longer available for repair. We suggest talking to your electronics buddy, have him solder a short into the stereo at the on/off switch. Stereo remains on only with ignition on. We no longer repair this Chrysler car stereo. Rounded corners on your car stereo? Stereo locks up or EQ buttons blink? This is a defective microprocessor and programmed from the manufacturer, we can not repair this car stereo. These stereos can be found at salvage yards and ebay. Car stereo display panel shows "Error". '97-00 Jeep Wrangler Poor FM/AM reception? 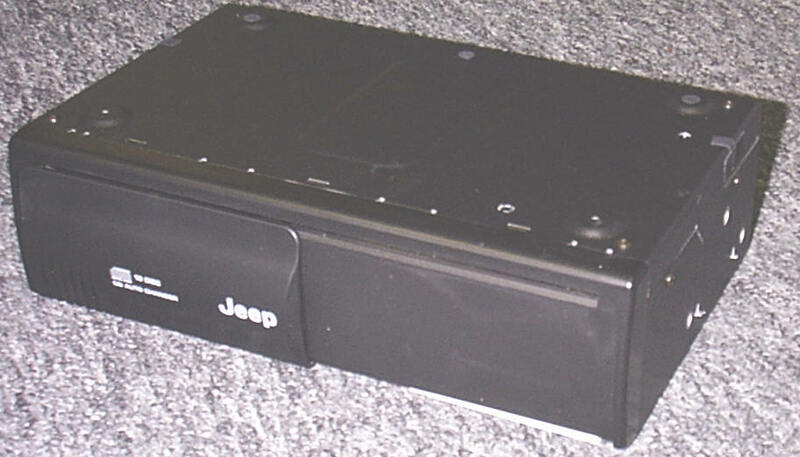 See "Do-It-Yourself-Repair" on '97-00 Jeep Wrangler Car Stereo Removal pages. 4 CD Changer We do not repair this changer. If your car audio or stereo problem is not listed, please email us Car Stereo Repair. All problems are not listed.